Today I decided to take the kids to the play space at Natick Mall to shake up the usual train-table-at-Barnes-and-Noble-or-NAZ-at-the-Y routine that this New England weather forces upon us. Oh yeah, and also because I wanted to go to the Trader Joe's in Framingham (as opposed to the one here) because it's one of the very few grocery stores in Massachusetts that sells beer and wine; although it is pretty awesome to take your kids into the liquor store with you. 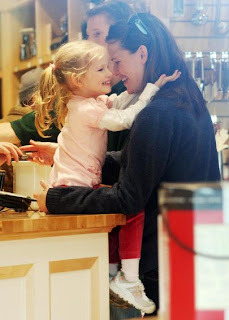 While driving along Route 9 and passing through Framingham and on to Natick, my mind started wandering to a place that it often goes when I'm feeling especially good about my ho-hum at-home mom life; my chance meeting with Jennifer Garner. Oh yes. Every so often, I'll see a photo of her and Violet at a "local park" while they're in the Boston area, and I think what if?! In my version of events, I'd be having one of those perfect days where H is listening and I'm the uber mom who goes down the slide with him and C would be his cute chubby self along for the ride in whatever shenanigans Hank and I decided to get up to. Then she would spot me...feeling nostalgic for the simple life (as all celeb-moms do, I'm sure) she'd approach me and we'd click; engaging in a witty repartee one thing would lead to another and we'd be grabbing a quick latte together as I gave her advice on the transition to mother-of-two. Yes, she's got Seraphina now, too. Of course I know that, because I shamelessly read the 'bump-watch' articles in US Weekly, In Touch and People. That's right, folks, nothing brings you back to your humble reality like projectile vomiting from your eight-month old. He was yawning and drifting off, then whammo! bleh, bleh, bleh and he fell right asleep. No muss, no fuss. Ahh, to be a baby. I guess my chance encounter with Ms Affleck will have to wait one more day. I was feeling a little left out because you all seem to lead a much more interesting life than me and decided to find out where or what my interests were. As I was laying in bed this morning trying to get back to sleep after getting up to pee for the third time in as many hours I was thinking of ways to block the sun out of my eyes. It was then that I had this fabulous idea for a sure thing money maker for the people everywhere in this financially challenged area. It will be called 'Fancy Nancy's Ghetto Fabulous Eye Mask.' All you need is a sock and some string. If you want when youare done sleeping...and this is wherethe real money comes in, you can cut holes in the sock for eyes and go rob a bank. No one will recognize you. Who would ever suspect me, a lowly little clerk at walmart, of sleeeping by day with my Ghetto Fab eye mask and robbing banks in the evening. Of course, the most important thing is not to cut the eye holes out all the way but make handy little flaps to pull down over the holes for the day. Hey, whadda ya think? Do you think there is a market for such a handy little cottage industry? Me neither. I was just trying to lull my self back to sleep so I can go to work and make an honest living. *I took the liberty of editing the email because my mom has yet to realize in her technological enlightenment that the large key at the upper right-hand corner with the arrow pointing to the left will help the reader more easily decipher your notes to them. She also thinks that punctuation and the space bar are superfluous because time is of the essence when penning such tomes. After years of watching infomercials, making strict restrictions on myself and struggling to find the answer, I finally stumbled across a way to end all late-night snacking! I have fallen asleep for more nights than I haven't over the last week between 8 and 8:30pm. Going to the gym again has made it so that I feel even more narcoleptic than usual at night. Tonight, I let H stay up after C went to bed and we read stories in my bed. I told him he could fall asleep there, and that I'd read my book next to him until he did. Yeah, I won't be doing that again. I'm posting just shy of 3am, because C just woke up for the first time (YAY, getting further and further out) and so did I. My book isn't even boring, but I was down for the count. Well, all the better for my kids because mean mommy has a harder time coming out to play when I've had a decent night's sleep. Also J is working our favorite 26-hour shift, so he'll be alive by mid-afternoon, and it'll be nice to not feel compelled to take a nap when he wakes up. What?! We'll actually be able to stay up together and talk?! Unheard of! This weekend, we went over to the Seuss Garden in Springfield that I posted about before, and it was a great day. Well worth the trip, as they also have a dinosaur exhibit at the science museum right now. J and I took the kids and packed a lunch for them. On the way home, I realized that I hadn't eaten since breakfast with the kids at 5:30...and it was 2pm! We landed at Texas Roadhouse (honestly the consistently best ribs) and had ribs, sweet potato and green beans. I didn't eat any of the potato, but c sure loved it, and as I packed it in the to-go box I realized it will make about five meals for him; oh to be a baby again. That night as J and I sat down to watch the love-fest that is Mystic River, I noticed all of a sudden that there were words clipped out of the conversation here and there, and then they just stopped talking all together. Or, I just fell asleep before 8pm. Like I said, that night, I certainly didn't feel the urge to pop popcorn or eat some tortilla chips or ice cream. It's 1,2,3 magic. I logged onto gmail today and saw an email from my best friend, you know, the one who's so sensitive to your likes and dislikes, knows all about you, never forgets your birthday or anyone else's and constantly recommends great products based on ones you've bought before? Yep, that's right; My pal Amazon. Celebrate Read Across America on March 2, the birthday of Theodor "Dr. Seuss" Geisel, whose playful rhymes and whimsical stories have helped generations of children learn to read. Explore our featured favorites in honor of Dr. Seuss's birthday, and visit the Dr. Seuss Author Store to learn more about the man behind children's classics like The Cat in the Hat and Horton Hears a Who!" I, like approximately 90% of the population, love Dr. Seuss. Living in Massachusetts now, we have a membership to the Springfield Museums so that we could get the reciprocity with Boston Children's Museum, the Ecotarium and other local attractions. 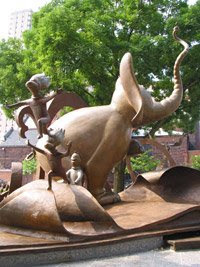 BUT one of the cool things at the Springfield Museum (Springfield being the hometown of Dr. Geisel) is the Dr. Seuss National Memorial Sculpture Garden. We've not yet visited it, but we'll be hitting it as soon as the weather warms up a little bit. I think it's something that both kids will love it, as I've heard only good things from my friends who've been before. Cozy up with your favorite Seuss classic on March 2nd and join millions of other people who'll be celebrating Dr. Seuss' birthday. We'll most likely be reading The Lorax, as it's one of H's favorites. I was surprised when I read it to him the first time, as I realized that it was one of a few Dr. Seuss books I'd not read before. It has a great message about preserving natural resources and being more careful about the impact we have on our surroundings. The Onceler nails rampant consumerism when he smirks at the Lorax after selling his first Thnead; "You poor stupid guy. You never can tell what some people will buy." On that note, J and I have been doing really well on our month-long commitment to forgo unnecessary purchases. The only thing I've made was a pack of four Curious George books for H's Easter Basket on craigslist that were drastically lower than the retail price and 100% of the money went to a cervical cancer charity; totally acceptable! I'm taking a class right now, in which we've been asked to write a letter to our parents. We need to explore the idea that there are things about our parenting style that is reflective of how we, ourselves, were parented. What things do we find ourselves doing that mimics our own parents (good or bad), what have we tried to change, and what would we change if we could do it all over again? I had already written the "I love you so much, you're amazing" letter to you a couple times during my time at Child Welfare, but that was either before I had my own kids or when H was still tiny. I've been thinking about this letter for about a week and thought it was appropriate to enter it as a blog post on Valentine's Day, as my love letter to you. What would I change? It may seem cliche but there is really nothing I would change about the way you raised me. Yes, I yell at H when I wish I wouldn't. But those aren't the times that are reminiscent of childhood to me; it's the fresh-baked bread, the home-made play-doh, having H be a 'taste tester' for home-made rolls, fun day-trip adventures, or just a lazy Sunday drive. From watching you work everyday so that all four of us have always earned compliments on our work ethic, to seeing your love and kindness to each other (with an appropriate level of sass thrown in) in order that we could seek positive partners, you did it all right. But most importantly, I've realized that the best thing you ever did for us, after establishing your solid foundation, was modeling your mistakes, and your reaction to ours. The Girls, Big and Little, have made our fair share of blunders, errors in judgement and poor life choices; some of them body-cast-worthy and some just needing a little hydrogen peroxide and a band-aid. Through it all, you've made your presence known. 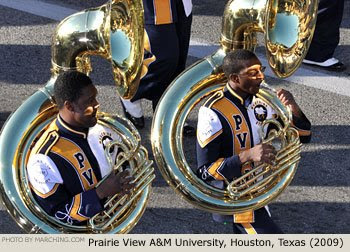 Never the crazy parents in the stands demanding better performance, 'have fun and do your best' was the motto that led us all to happily be three-season athletes, honor-roll students and, our best accomplishment, four-year college graduates. Looking at H and C, I finally understand why, when we had our biggest failures or disappointed you the most you refused to believe that we were anything less than the gap-toothed tow-head, the freckled brunette, the chipmunk cheeked 'Bull Ramos' or the ole blue eyes for whom you held so much hope and promise. Our successes can all be traced back to your belief in our abilities to take the pieces that were left from the mistakes and put it all back together with your guidance and our own will. You had to strike a balance between assuring that we were physically and emotionally healthy and not asserting yourself when you probably desperately wanted to, knowing that doing so could destroy our ability to confide in you when we needed it most. Dad, you are quiet in your strength and that was so important for our estrogen-charged household. Mom, you just took it all. I know the level of abuse we heaped upon you, and can now understand why it hurt your feelings, even though at the time we thought you were just being unreasonable in your sensitivity to our mocking. Sure, we "liked" dad better sometimes, but you'll note none of us have authored the prophesied The Witch and Mr. Wonderful. Let someone outside the family try and make fun of you; I guarantee, none of us would laugh. It is no coincidence that you have four daughters of such extremely different personalities who genuinely love and appreciate each other, anxiously looking forward to each time that we all get to be in the same room together (after that decade passed when we never had a gathering that ended without one of us leaving in tears). All happy mothers just hoping that with a lot of work and a little luck, we'll be able to replicate with our own kids what you did for us; You are "Perfectly Good." Since I've been back at the Y, I decided to mix things up by attending classes. Before I got married, my friend Jen and I went to step class at the Athletic Club and I remembered it being a great workout. Well, it still is. As I was tapping, lifting and going 'over the top', I had completely zoned out to the sound of the rhythmic stomp, stomp, stomp of everyone working in time to the count of the instructor. My breathing evened out, and I was suddenly getting the steps right. It hit me...there is a reason that a get a secret thrill from watching the Marine Corps Silent Drill or a phenomenal marching band; I thrive on things being orderly. Hmmmm, could this have anything to do with being raised by two OCD parents? I remember when my dad brought home a tool chest for us to store our lego's and each drawer was marked with my dad's label gun: Red 2-cell legos, Blue 2-cell legos, there was even a drawer for 'misc.' in case there was a part that lego made eventually that didn't fit in one of the previously made categories. Our light bright had a plastic baggie for each color so that when we were done, all the pegs were neatly tucked away. You may think I'm making fun, but there's a reason why our small house so easily accommodated a family of six while I feel the walls closing in on my family of four (in a bigger space I might add). A place for everything and everything in its place. I had been thinking about this post while on the treadmill as I was cruising along to Chubby Checkers (yep, the same one I made fun of J for having in the iPod), and then got home and finally committed to reading more than one page of Even June Cleaver Would Forget the Juice Box at a time. I had been reading the first chapter during trips to the bathroom for about a month and decided I needed to get past the introduction if I were ever to find out how to relieve myself of the social pressures of motherhood I'd been buying into. One book can solve it all, right? Anywhoo, Ms Dunnewold was talking about how much chaos is caused by trying to be perfect, when really we should be happy with being 'perfectly good'. It's a phrase that we've certainly heard before (think 'those shoes are perfectly good'.) As a graduate of the school of "good enough" I know that when I use that term, I'm really saying not good enough, which was the exact point made in that book. When did being 'good' start to mean you were not good enough? I've decided to start embracing the things that I know I'm good at. I can work at the things I'm not, but mostly just acknowledging that we're all human. We're gonna yell at our kids, we're gonna have 'adult tantrums' and we're going to make mistakes. But with a little practice, we can become comfortable with the knowledge that we're perfectly good mothers. Order restored, chaos reduced. Realizing my affinity for order has given me just that much more motivation to clear the c-rap out of my house. Did you know that in a lot of areas Big Brothers Big Sisters will come to your house and pick up a load of donations? Yesterday I went back to step class for the first time since I attended the one at Grande Ronde Athletic Club with my friend Jen while getting in shape for my nuptials almost 6 years ago. I had forgotten how much fun it is, and what a great workout. However, when we did jumping jacks, I felt Jell-o Jigglerific in a couple places...What is that, and how did it get there?! Nothing more than motivation to persevere, my friends. After picking the kids up from child watch, we ate lunch in the lobby and then I took H down to the NAZ to play for about an hour before we headed home so that I could bide my time until I could wake J up and go take a nap. Nap time came and I was o.u.t. out. I don't generally like to take naps as I usually either sleep too long or have the opposite where I just fall asleep and the kids wake up...not today. I slept for a full hour and a half, then it was out of bed to shower and get ready for my night. We had a sitter coming in an hour and I got to shower, shave, blow-style and apply make-up... with my bedroom door closed and locked while J took care of dinner and bed-time routine. All the while the whispered promises of J for the evening kept floating in my head...'open bar' 'free dinner'. That's right folks, I had a date with destiny. The food at the restaurant was good, but when the owner served us at the buffet, it was very much like I imagine one of Tony Soprano's entourage would do it. When one of the people ahead of me asked what was in the chafing dishes, he answered with a harsh Wistah-boston blend of an accent while pointing them out 'lasagna. chicken. tortellini. ziti. meatballs. sausage.' No muss, no fuss. I turned to J and made a wisecrack maybe slightly louder than intended. I'm pretty sure that Tony didn't hear me because I left the restaurant that night with both kneecaps intact. That's amazing for another reason, as I had the genius idea to wear the shoes I'd worn in Sherri's wedding this summer. It's not often in the life of indentured servitude motherhood that I find the opportunity to wear black satin open-toed heels with bling across the strap. Oh, did I mention it's not risen above 20 degrees in about four months and the town is covered in a sheet of ice? Combine that with the wine I'd consumed, and it's a miracle I'm not still laying in the parking lot this morning dying of laughter after my attempt to ice skate to the car resulted in a fall. My knight-in-shining-armor could apparently foresee that outcome because he had a firm grasp on my hand from door to door...awww, my hero! These e-trade commercials are hillarious! You can watch as many as you'd like here. I know at least one boy in my house who'll be using Hulu...often. Yeah, he already got on last night; The powers of suggestion strong with this one are. I got an email from a friend titled 'GM Killed Their Best Product' and it was a YouTube link for a doctored clip of the film Who Killed the Electric Car? which came out in 2006, narrated by Martin Sheen. Until I looked at the official website for the movie, I didn't realize it had been out for so long. Almost three years later, with gas prices soaring, dipping and getting ready to soar again, this film seems particularly applicable to our lives. With a multi-billion dollar bail-out package, we're taking another look at the state of our auto industry. I am the first to admit that I don't drive a Prius or other hybrid car, but we did a lot of research before forgoing that option when buying our car. But a car that doesn't use gas at all? That would be was an amazing option. I've put the film in my Netflix queue, and look forward to seeing more. Appropriately, today is day one of my 'no non-essential purchases for a month' month.